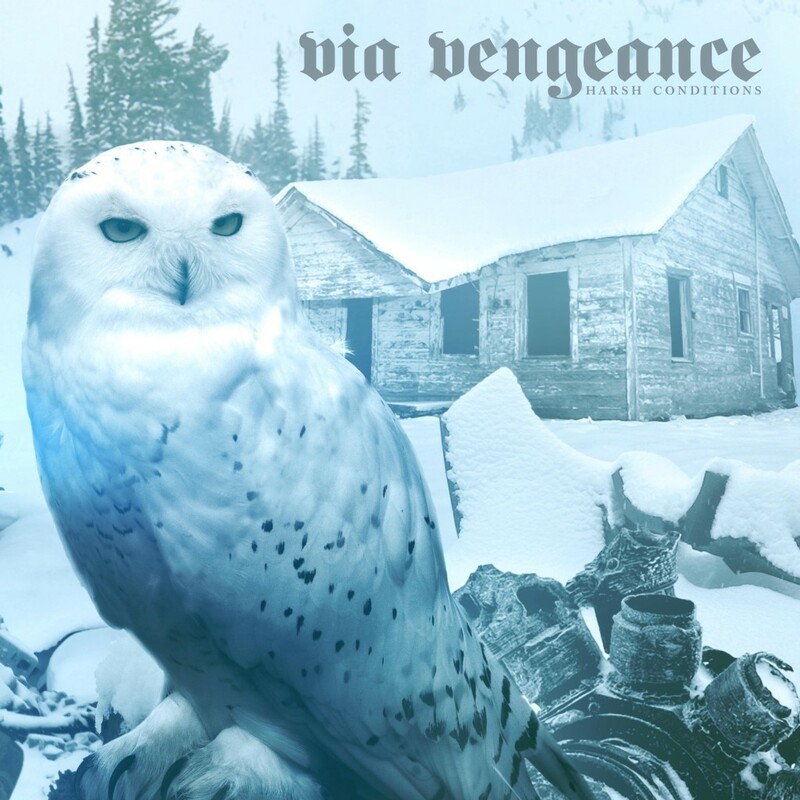 Now less than a month from release is Harsh Conditions, the second album by Arizona-based doom metal soloist Shane Ocell as VIA VENGEANCE. As an early insight into the record, one of the album highlights, “Dead In The Snow,” featuring guest guitar and vocal contributions from A Storm Of Light’s Josh Graham. Reports No Clean Singing of the track, “’Dead in the Snow’ is a wrenchingly powerful, chilling song that suits its title, with the groundwork laid immediately by slow reverberating guitar notes, soon joined by massive vibrating riffs and the thump and crash of drum and cymbal. Unfolding at a funereal pace, the music becomes even more emotionally punishing, with a combination of raw, gritty, inflamed vocals that convey anguish and agony and high clean vocals that accent the track’s forlorn atmosphere. Actually, ‘forlorn’ is too tame a word: The song’s crawling melody weeps blood. And it will stay with you. “Dead In The Snow” by VIA VENGEANCE featuring Josh Graham is playing at No Clean Singing RIGHT HERE. Also hear “Swarmed” from the album at Cvlt Nation HERE. Battleground Records will release Harsh Conditions on CD and digital formats on March 11th, 2016; preorders for the CD are now available HERE. Beginning the day of Harsh Conditions’ release, VIA VENGEANCE will head out on the 3 Man 2 Band Tour 2016 with support from duo, Gomi. 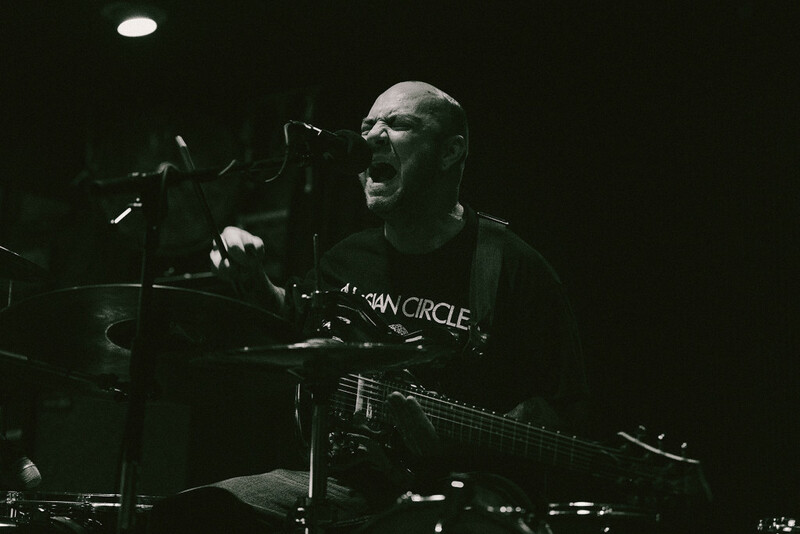 The creation of solitary member Shane Ocell, drummer of Phoenix-based dynamic sludge troupe, Sorxe, with VIA VENGEANCE, Ocell handles all instrumentation and vocals, even performing the tracks himself at live performances without the use of any looping or manipulation devices. With Harsh Conditions, the soloist delivers forty-two minutes of pentatonic, mid-paced, sludge/doom metal, the album’s eleven tracks forming a thematic concept about Winter survival. Recorded in Phoenix by Jared Cox, Ocell includes several special guest appearances on the album, including piano and clean vocals by his grandmother, BJ Scott, and guest vocals and guitar by longtime friend Josh Graham of A Storm Of Light, whom also created the immersive winter elements cover artwork for the album.